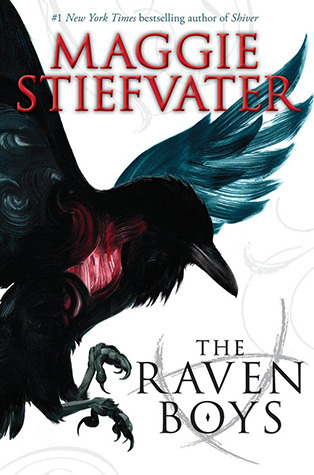 I read a YA book I just adored last week called The Raven Boys by Maggie Stiefvater. It’s a tale full of wonderful multidimensional characters, adventure, friendship, and mystery. Blue and her wonderful “raven boys” quest to learn more about about ley-lines and Glendower lore. It reads part murder mystery part treasure hut. Scroll to the bottom for more about the book. Having loved the story so much I wanted to make a theme-ish treat to take to book club. 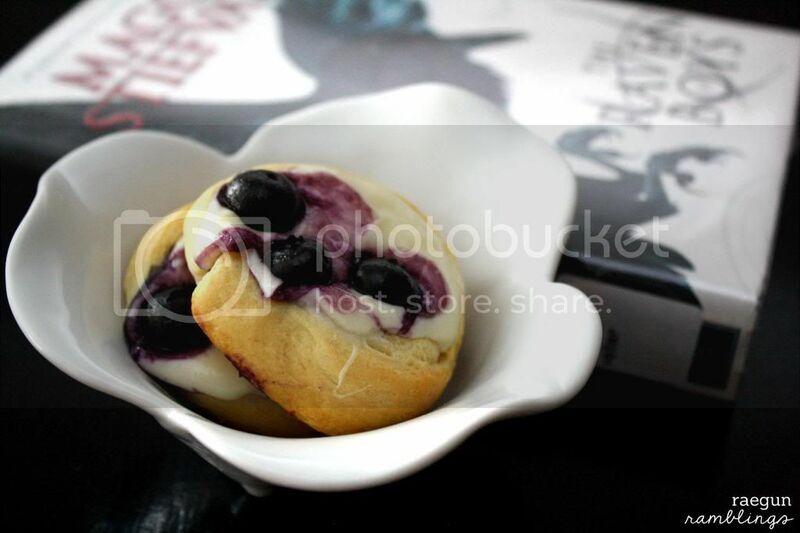 I decided on these tasty Blueberry Cream Cheese Danishes, my tribute to the awesome character Blue. They are SO fast and easy. It was the perfect treat to take since I only had tiny bit of time after I got home from church to get ready to go. Open dough but leave rolled up. 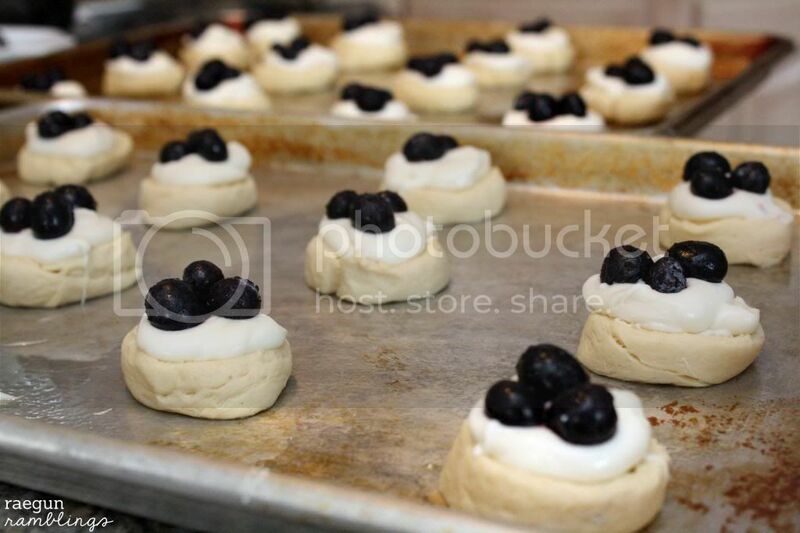 Cut each package of dough crosswise into 12 pieces. Spread each circle slightly with your fingers and arrange on a cookie sheet. Combine the rest of the ingredients and mix with an electric mixer until fully incorporated and smooth. Top each with 2-3 blueberries. Bake at 350 F for 20 minutes or until the pastry is golden. 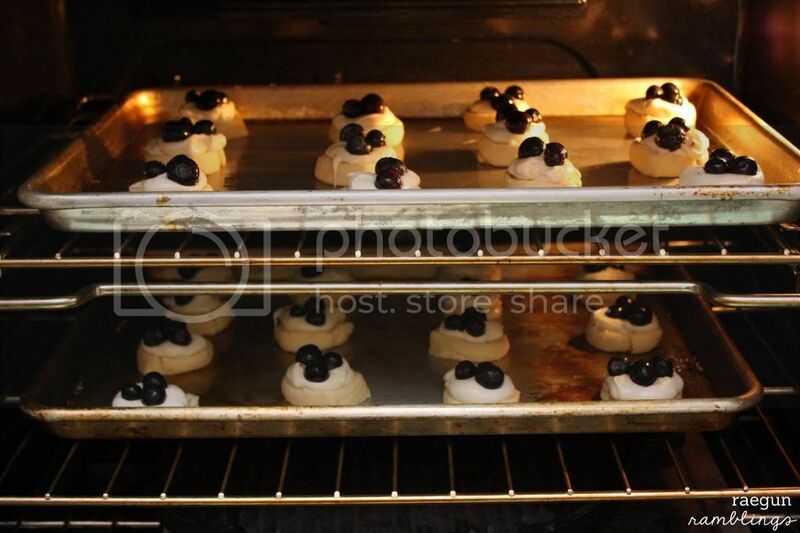 Makes 24 danishes. These are so yummy and they are good warm or room temperature. If you are curious about The Raven Boys here’s the description from Goodreads and you can read my full review here. Looks yummy – and looks like another book I need to add to my reading pile – love all of your recomendations! um, this looks amazing! I love blueberry anything! I made a half batch of this recipe this morning and me and my mother LOVED them! I wasn’t sure if I would like them at first, but they’re already almost gone, now! If The Raven Boys is half as good as these danishes were, then I’m in for a good read! I have a copy of this book but haven’t got round to reading it yet. Those pastries look great! It looks delicious! And the recipe looks like one I might be able to make after work one day, which is rather unusual! Off to pin your post to my Pinterest page. Thank you. Here’s my It’s Monday! What Are You Reading? Hope you’ll stop in! Wow! I never thought to make a danish with crescent roll dough before. Good call! Just picked this book up at the library. Now I just need to finish the other two so I can start on this. :) thanks for all the great book reccomendations! WOW! These are so easy to make. I am surprised I never tried this. Thank you so much for posting such an amazing treat! What a delicious combination. I love blueberries! I won an autographed copy of this one and I still haven’t read it (for shame!). The danishes look killer. 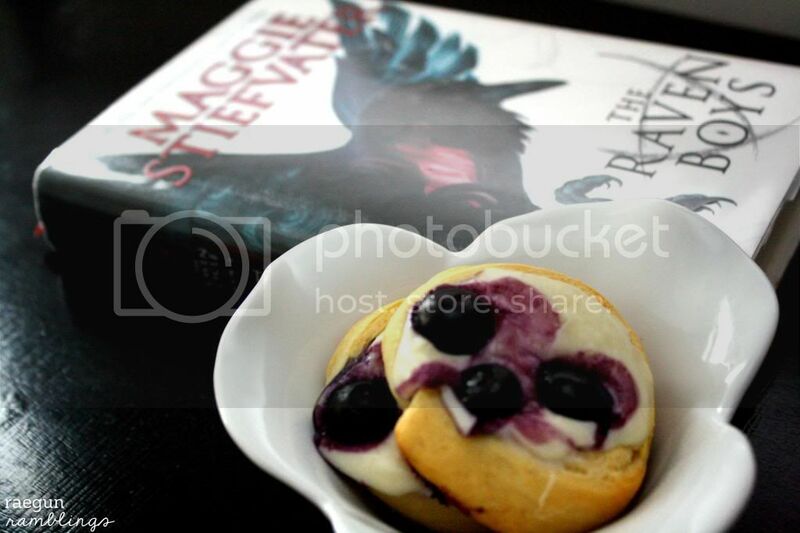 I just love how pretty the blueberries on top look! fun recipe and i like the idea of matching a book with a recipe!